In 1848, having displayed known independence and not graduated Kazan gymnasium, youth returned to the fold. Shishkin set to systemic studies in Moscow College of painting and sculpture at the age of twenty, having hardly overcome patriarchal principles of his family that opposed his wish to become a painter (except father). In august 1852 he was already included into list of pupils accepted to Moscow College of painting and sculpture, where till January 1856 he studied under the direction of Appolo Mokritsky. Being an academician, Mokritsky folowed strict rules of drawing and shapes formation, that is what his young follower learned well for all his life. But that academic method intended steady execution of rules and not searches for something new. Shishkin’s attraction to landscapes in College became clear at once. Richness and variety of plant forms fascinates Shishkin. Steadily studing nature that seemed all interesting to him, was it an old stump, snag, dead tree. The painter always painted in a forest near Moscow – in Sokolniky, learning shapes of plants, fathoming the anatomy of nature and doing it with great enthusiasm. 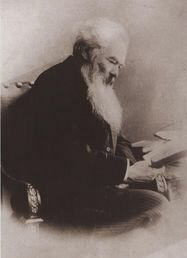 To the time of graduating from College at the beginning of 1856 Shishkin’s creative interests were appreciatly formed. He stood out against his friends due to outstanding talant. He has already acquired some professional skills. But the painter strived for further self-perfection and in January 1856 he went to Petersburg to enter the Academy of Arts. In the Academy of Arts Shishkin stood out against pupils due to qualification and excellent faculties. Shishkin concentrated his attention on nature fragments, in connection with what he carefully examined, touched, studied every stem, trunk of tree, quivering leaves on branches, livening up grass and soft moss. Enthusiasm of naturalist guided painter’s brush. Painter opened extensive world of ordinary components of nature not introduced into art turnover earlier. Just little more than three months, after entering the Academy, he attracted attention of professors with his life landscape pictures. In 1857 he got two small silver medals – for picture “In Petersburg outskirts” and for pictures made during summer in Dubki. Shishkin during the period of studying in the Academy of Arts showed symptoms of imitation less than other, but some impacts also touched him. This relates, first of all, to creative work of extremely popular in due time Swiss landscape painter A. Calame, painter who examined Alpine nature with love, and who knew how to poeticize it in outward appearance. First omens of inner dissatisfaction with his condition, and maybe with formed pictorial method appeared at Shishkin rather clearly next year after his return from abroad. 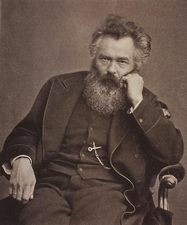 He spent summer of 1866 in Moscow and worked in Bratsev together with L.L. Kamenev, his companion from Moscow College of painting and sculpture. Joint work with landscape painter of Moscow school who was sincerely interested in motifs of plain Russian landscape, wasn’t futile. Except extant Shishkin’s bright pictures with signature “Bratsevo”, free from constraint of his academic manner, the main were pictorial sketches made by him. One of them imprinted the motif of maturing rye field and road, afterwards, in 1869, it served as a base for picture “Noon. In Moscow districts” (State Tretyakov’s Gallery), with golden fields of ripening rye, clearly depicted backgrounds, road coming out from depth and high sky prone over land with light cumuli. In summer 1869 Shishkin worked on several pictures preparing himself for academic exhibition. Picture “Noon. In Moscow districts” was out of general range. In September-October 1869 it was exposed on academic exhibition and apparently was not purchased. That’s why Pavel Tretyakov in a letter addressed to painter asked him to leave the picture after him. Shishkin agreed to leave it with thanks for 300 rubles – sum offered by Tretyakov. Since first Circulating exhibition, during all twenty five years Shishkin took part in exhibitions with his pictures that today give the possibility to judge about evolution of landscape painter mastery. Summer of 1871 Shishkin stood at his homeland. At the beginning of 1872 on a contest organized by Society of Arts encouragement in Petersburg, Shishkin presented his picture “Mast timber in Vyatka province”. The name allows relating this work with nature or homeland, and time of gathering materials – with summer 1871. Shishkin’s picture was bought by P.M. Tretyakov and became part of his gallery. Kramskoy in his letter written on April 10, 1872, informing Tretyakov about picture shipping, calls Shishkin’s picture “splendid work of Russian school”. Having become one of founders of Society for Circulating Art Exhibitions, Shishkin became friends with Konstantin Savitsky, Ivan Kramskoy, later with Arhip Kuindji. In April 1874 Shishkin’s first wife Eugenia Alexandrovna (sister of Fedor Alexandrovich Vasiliev) died, and after her – their little son. Under burden of personal experiences Shishkin went to seed for some time, left Kramskoy and stopped working. He settled in a village, again became friend with schoolmates from Moscow College of painting and sculpture and Academy of Arts who drank often with him. But Shishkin’s strong nature overcame hard emotional experiences and in 1875 he presented a set of pictures at 4th Circulating exhibition, one of the pictures (“Spring in pinewood’) again called enthusiastic praises of Kramskoy. In some works the painter reaches high poetic generalization while saving the same accuracy in details reproducing. In the seventies such a picture was “Rye” (1878). The picture was painted after painter’s trip to Elabuga in 1877. During all his life he always came to homeland where he seemed to derive his new creative strength. The name “Rye” in a known degree shows the essence of the depicted, where everything is so wisely simple, and at the same time considerable. This work is involuntarily associated with verses of A.V. Koltsov and N.A. Nekrasov – two poets especially loved by Shishkin. The picture “Rye” is the end of Shishkin’s winnings as of landscape painter of epic stamp. In the seventies swift process of landscape painting development, its enrichment with new talents was running. A.I. Kuindji exposed his eight famous pictures together with Shishkin on five circulating exhibitions. He created very unusual pictorial system. Images created by Shishkin and Kuindji, their creative methods, modes as lately system of teaching were rather different, and this did not detracted dignity of them both. While calm contemplation of nature in all ordinariness of its showing was appertained to Shishkin, Kuindji percept it romantically, usually he was attracted by light effects and color differences caused by it. In the 80th Shishkin created many pictures, in their motifs he still addressed mostly to life of Russian wood, Russian meadows and fields, he also considered motifs of Baltic sea coast. Main features of his art are still saved but the painter wasn’t immovable in creative positions elaborated till the end of the seventieth. Such canvas as “Stream in wood (On hillside)” (1880), “Nature reserve Pinery” (1881), “Pine forest” (1885), “In pine forest” (1887) and other, by their character are close to works of previous decade. But they are interpreted with greater pictorial liberty. Shishkin pays special attention to pattern solution of works, combining expertly underpainting with use of glazing and body colors, diversifying strokes that are applied by different brushes. His shape modeling becomes extremely precise and steady. Picture “Ship grove” (the biggest by size in Shishkin’s work) – as the last, concluding image in epopee created by him, that symbolizes powerful Russian power. Realization of such a monumental intention, as this work, symbolizes that 66-years-old painter was in the prime of his creative power, but at this moment his way in art suddenly stopped. On March, 8, 1898 he died in his workshop at easel were a new, just started picture “Forestry kingdom” stood.